Creating a smooth flow in the story is mandatory for any user so that your audience can reach to your action call. Most of the flows end up at the same endpoint. 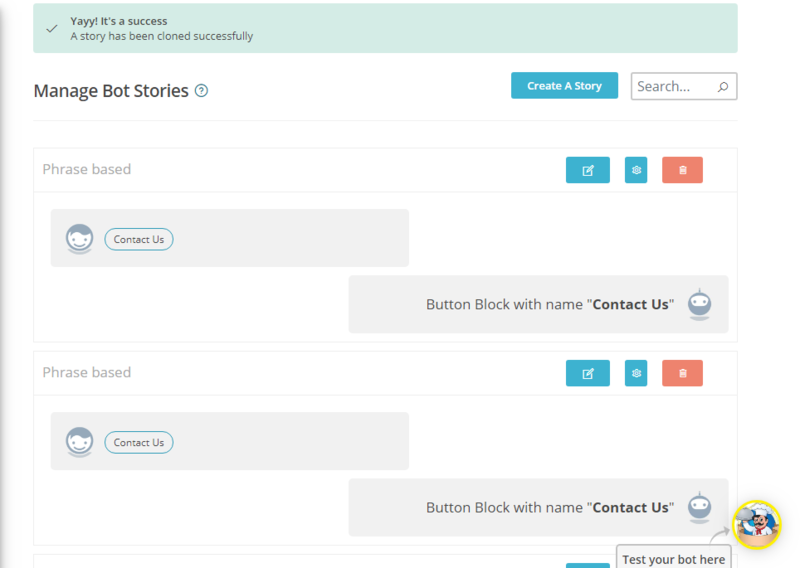 To save your time, we have added this new STORY CLONING feature from where you can clone the whole flow and edit it according to each query. Here’s how you can clone your stories. Click on Clone Story and clone it. Now you will find two same stories with the same flow. Now Click on one of the cloned stories and edit it according to your keywords. Here’s how you can save time and decrease the chances of mistakes in making the same flows of your story.